ERP software helps growing businesses that need more than just basic accounting.  ERP stands for Enterprise Resource Planning. Other terms often used are Business Management Software or Business System. Today’s ERP software is a fully integrated suite of applications that effectively manage core business processes in real-time. With comprehensive business software, an organization can collect, store, and interpret data from all these business processes and create intuitive reports that allow them to view the information in a clean and concise way. ERP software can simplify the information flow between all business functions making collaboration and decision making faster, and more reliable. Today’s modern systems can be deployed on-premises, in the Cloud, or using a combination of the two. Empower offers two distinct ERP options with Acumatica and Microsoft Dynamics GP, and can help guide you to the one that will fit your requirements and business needs. With help from our team, the right software can automate and optimize your business. Reach out to us and we’ll help you find an ERP system that fits your budget, your hosting preferences, and your business goals.